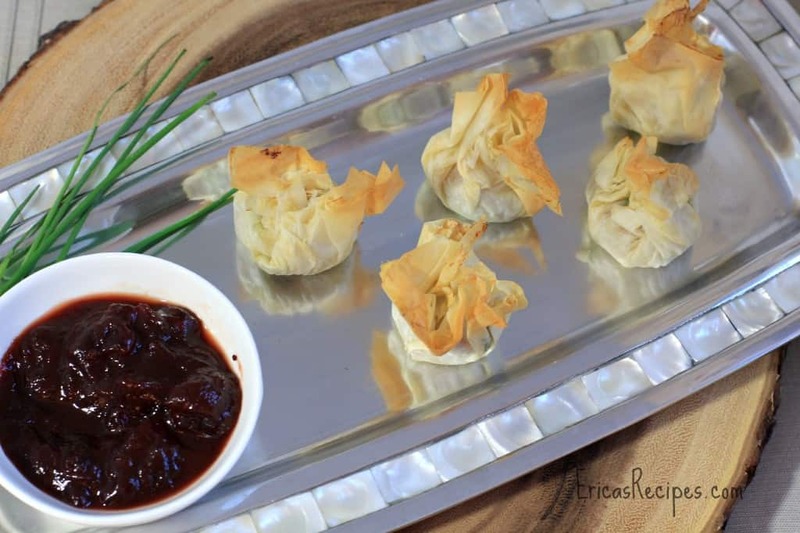 Take the traditional pigs in blanket fun to the next level with these Posh Pigs in Blankets with Cranberry BBQ Sauce. 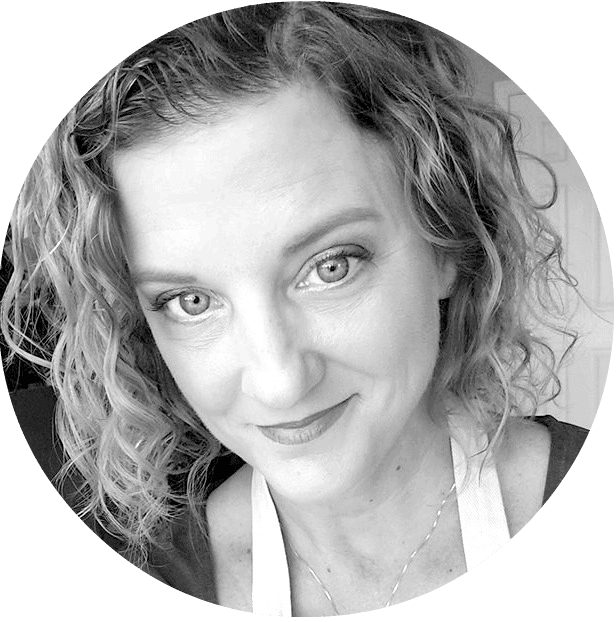 The idea for this appetizer was to take something homely and humble, like a little pig in a blanket (as a perfect example, see my L’il Smokies), and recreate it to something worthy of a special occasion. Yes, I was challenging myself. And what was so great about this little endeavor is the Cranberry BBQ Sauce that resulted!! I can’t describe how happy I am about it. 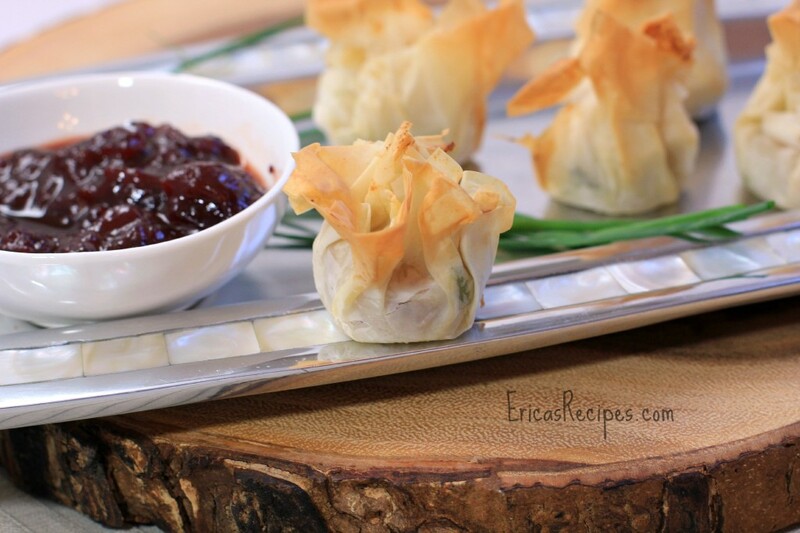 These little bundles were easy to put together, and they are quite worthy of any occasion for entertaining. On a washable cutting board, lay out 1 sheet fillo dough. Spray with cooking spray. Lay another on top of the first. Spray with cooking spray again. Repeat once more. Place a teaspoon of Dijon mustard in the center of the dough and, using a pastry brush, gently brush the mustard evenly over the dough. Using a sharp knife, cut the dough into 6 squares. Place a sausage piece on each dough square. Top each piece of sausage with a sprinkle of fresh parmesan and chives. 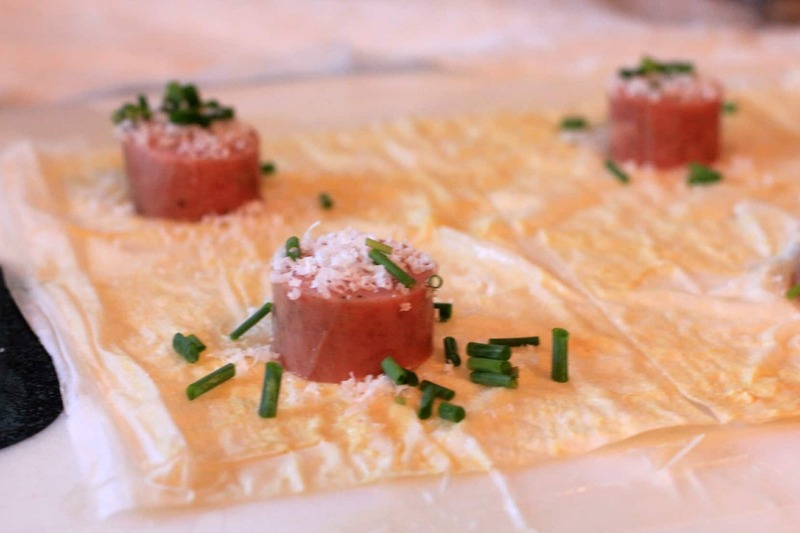 Gather up the corners of the dough around the sausage and pinch to make a "bundle". Repeat this process 3 more times to use up all the sausage making 24 appetizers. Bake at 375F until golden brown (~10-15 minutes). Serve with Cranberry BBQ Sauce. these look so incredibly delicious and I bet that cranberry bbq dip was out of this world! I might try that for turkey night! WOW! I love this sophisticated version of the good old pigs in a blanket! Thank you, my group will really enjoy this!